The Oratory of St Philip Neri in Toronto is notable as one of the rare places where a choral Mass is sung each Sunday in both forms of the Roman Rite: a sung Mass in the novus ordo, followed by a Solemn High Mass in the usus antiquior. The Solemn Mass has steadily increased in popularity since its introduction, replacing a missa cantata previously offered by the Fathers of the Oratory, and the increased attendance at this Mass has allowed more resources to be devoted to its celebration – particularly the musical component of the liturgy. 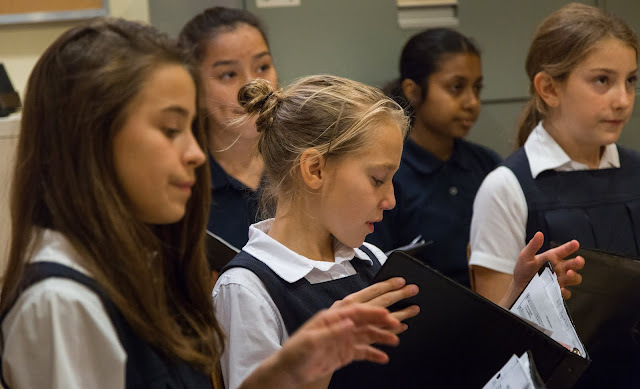 Where the Mass had originally been sung by a small volunteer schola, since 2017 the Mass has been sung by two choirs: a professional vocal ensemble that sings polyphonic motets and settings of the Mass Ordinary, and a schola that sings the chants of the Mass Proper. 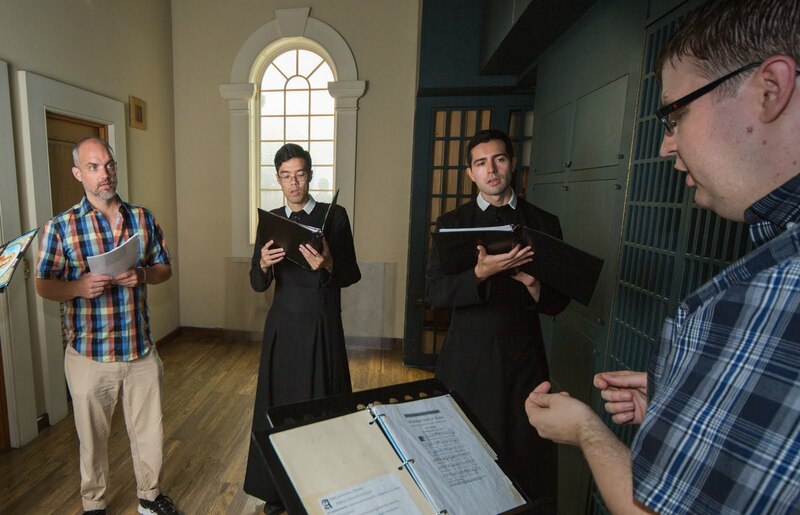 Among the members of the schola are laymen from of the parish as well as students at St Philip’s Seminary, including Oratorian novices, seminarians from nearby dioceses, and Norbertine canons from St Michael’s Abbey (Silverado, CA). The repertoire of polyphonic music sung at the Oratory is somewhat unusual. A typical month’s music list will include music by the acknowledged masters of late sixteenth-century polyphony, such as Palestrina and Victoria – both of whom knew St Philip Neri and whose music forms a central part of the Oratorian musical heritage. However, the choir repertoire also includes music by composers whose names are little known even to specialists: Ivo de Vento, Ludovicus Episcopius, Wilhelmus Formellis, and Franciscus de Rivulo. 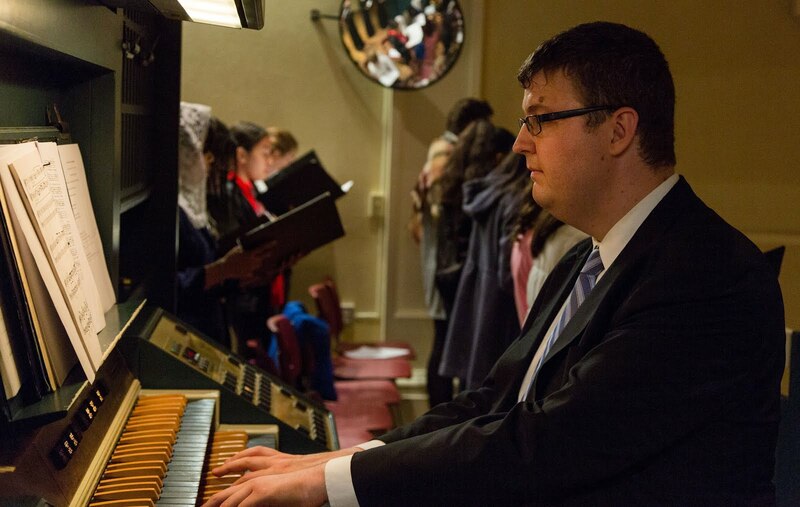 While it is difficult to determine whether or not a particular Mass setting or motet has been sung elsewhere, it seems likely that many of these compositions have not been heard in the liturgy since the sixteenth century. As recently as fifteen years ago, it would have been nearly impossible to offer such repertoire in a liturgical setting. Music by composers like Episcopius and Formellis is not available from any commercial publisher; in most cases, it has not been edited for publication even in the scholarly press. This music, like so much other Renaissance polyphony, can be found only in surviving sources from the sixteenth century, either manuscripts or printed collections, typically housed in European academic libraries. The most important of these sources were sometimes reproduced in published facsimile editions or on microfilm, but the rest would remain inaccessible except to musicologists on research trips. This situation has changed because of the generosity of research libraries around the world, who have begun digitizing their collections and making them available online for public viewing. Collections of music manuscripts and prints that would be prohibitively expensive to reproduce in physical form are now available digitally, making it possible for anyone with music notation software and some basic editorial skills to produce a usable modern edition of a centuries-old musical work. Only the larger libraries have so far been able to complete these large-scale digitization projects, and so only a fraction of the surviving corpus of Renaissance polyphony is available, but the material available already includes thousands of pieces. It will take decades for enterprising scholars and performers to sort through all of this material. Why bother with the likes of Episcopius and Formellis when the complete works of Palestrina and Victoria are much more readily available? One reason is that Palestrina and his contemporaries are part of a much larger tradition; we seriously misunderstand these composers if we view them as isolated figures of genius rather than as part of a lively, pan-European musical culture. Palestrina, for example, was deeply indebted to such predecessors as Jean Lhéritier, Jacquet of Mantua, and Andreas da Silva, but these relationships remain difficult to explore because of the unavailability of these composers’ works in practical performing editions. Expanding the repertoire of liturgical music to include a wider variety of composers is a way to express the catholicity of our musical tradition, showing that even within the Renaissance polyphonic language there are many regional styles and compositional voices worthy of preservation. Examining sixteenth-century sources of polyphony also reveals that there are entire genres of liturgical music that have been ill served by the modern publishing industry. Larger-scale compositions like Masses and motets are fairly well represented in the catalogues of commercial music publishers, and on websites like the Choral Public Domain Library; such works can be used liturgically or be sung in concerts by school and community choirs. However, the same cannot be said for smaller-scale liturgical genres, especially those associated with the Office: settings of the Magnificat, alternatim settings of psalm verses, falsobordoni formulae, and harmonized settings of responses. These musical genres, ill-suited to concert performance and usable only where the Office is sung in polyphony, have typically languished in obscurity, but are now easily accessible to musicians interested in reviving their use. A fine example of the treasures available for rediscovery is the Novus thesaurus musicus, a five-volume set of motet books printed in 1568 by the Venetian publisher Antonio Gardano; a complete copy of the Thesaurus has been digitized by the Bayerische Staatsbibliothek in Munich. The composers represented in the Thesaurus are mostly lesser-known figures: there are a few works by the young Orlando di Lasso, but most of the motets are by figures like Jacob Regnart, Michel des Buissons, and Georg Prenner – figures associated with the court chapels of the Habsburg dynasty. The anthology is well known to scholars, but relatively few of the pieces in this enormous collection have ever appeared in a modern edition. Yet the collection is eminently practical even by modern standards: the first volume presents a group of motets for each of the major feasts of the liturgical year, the second presents motets suitable for ordinary Sundays, the third contains motets in honour of saints, and the fourth is dedicated to the Blessed Virgin Mary. (The fifth volume, memorializing various members of the Habsburg family, would seem to be more limited in its liturgical function.) The organization of these volumes could not be more practical for the modern church musician seeking music for a particular occasion – a reminder, perhaps, that the basic tasks of the liturgical musician have not changed all that much since 1568. With an almost limitless number of pieces still to be discovered, it is to be hoped that more musicians will take up the challenge of transcribing works from this period and singing them in the liturgy. 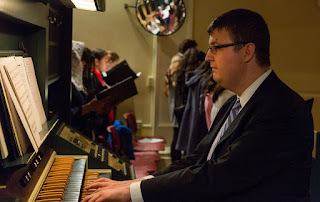 Organist of the Oratory of St. Philip Neri in Toronto, Canada.